or 615-819-2615 for all your consulting and accounting needs. We have offices in Smyrna, TN and Nolensville, TN. 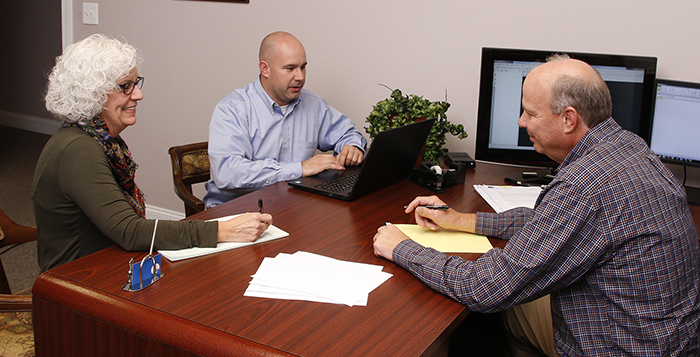 Parks & Berry CPAs is a full-service Certified Public Accounting firm operating in Middle Tennessee since 1993. Our friendly, dedicated team welcomes any and all questions and wants you to feel completely informed every step of the way. We stand behind our quick, complete service because we work for you and depend on your satisfaction. Confidentiality is the cornerstone of our practice. Our Nolensville TN accounting and Smyrna TN accounting offices are ready to serve you. Our clients require a variety of levels of service. Some simply want us to serve as a layer of protection, double-checking numbers and correcting as needed. Others require weekly assistance with accounting, leaving them free to direct their energy to their patrons. Our bookkeeping department will structure its service around your individual needs. The highest compliment our clients give us is allowing us to continue to serve them. We have a very high retention rate because we care enough to meet each client’s needs completely. Although it may mean less profit for us in the short term, we consider our time with clients an investment for the future and value their confidence in us.Parks & Berry CPAs, is well-prepared to meet both your business and personal financial needs. From basic bookkeeping to complex tax issues, we are here to help.